2017 has been a year of change and growth for us with each of our partner airports having good reason to toast in the New Year and look forward to another great year in 2018! The Rigby Group (who’s portfolio includes Norwich, Exeter and Derry Airports) has completed the acquisition of Bournemouth Airport, becoming a leading player in the UK regional Airport sector. Taking advantage of the lack of capacity at major hub airports in the UK to demonstrate how regional airports can ease the strain, through effective management and operation. 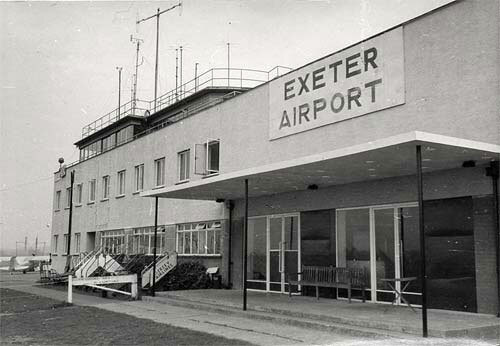 Above – Exeter were also celebrating their 80th anniversary, looking back on the previous 80 years, since the Airport opened on 31st March 1937. On 24th November Newcastle International Airport celebrated their 5th millionth passenger of 2017. This means passenger figures are back to over 5 million, for the first time since 2008, when the recession affected the air travel industry across the UK. Ending the year on just over 5.3 million passengers. 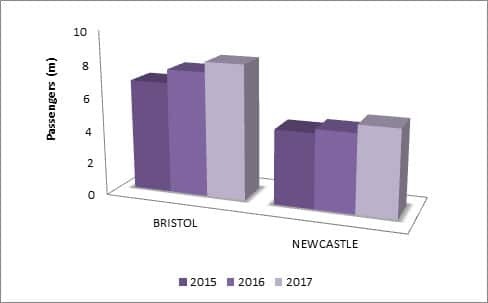 Bristol Airport celebrating 60 years of flying from their current site, reported its busiest year to date with more than 8 million passengers last year, surpassing the total for 2016 by over six hundred thousand passengers. The record annual number represents an 8 per cent increase year on year, and the eighth consecutive year of growth for England’s third largest regional airport. 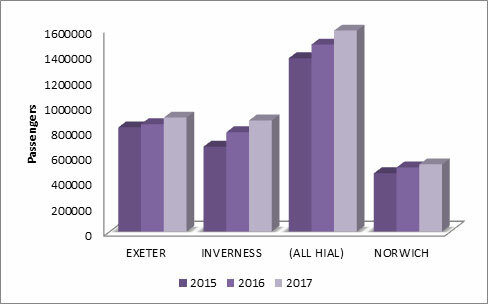 HIAL not only celebrated a significant increase in turnover to £22 million, as well as an astonishing 15.4% increase in passengers, across their Airports, reaching a record high of 1.6 million passengers, in the 2016/17 financial year. All this growth is great news to all of Eye Airport’s advertising clients, who are now exposed to an even greater alert and captive audience. To find out how Eye Airports can create a personalised and effective campaign for your business click here.